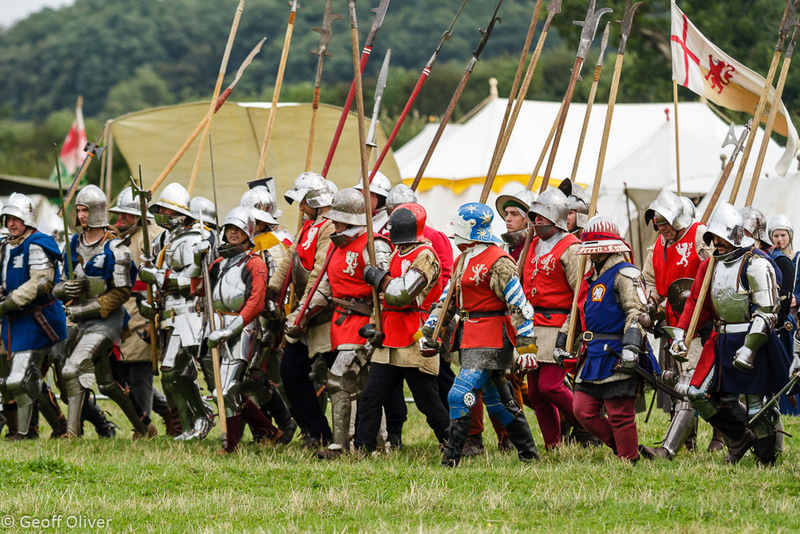 That’s me in the blue jumper at the Bosworth Battlefield re-enactment last August. 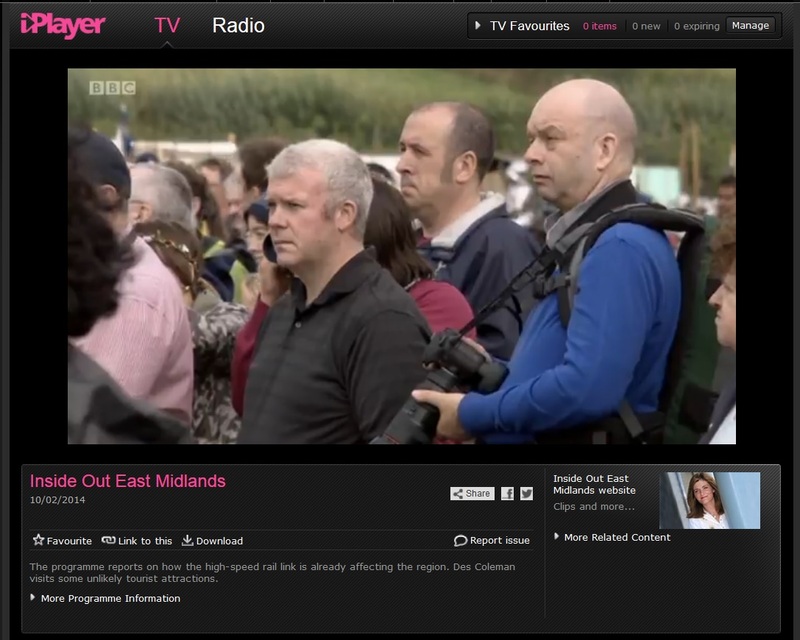 Notice I have my usual happy smiley face on, dark tourism indeed! I haven’t changed the header page on this blog for a long time so I thought it was about time I did something about it. Rather than just a single letter-box shaped image, I decided to use the multi-image header you see below, created in Lightroom using the technique described on this page. The photos are a random mix taken from some recent photo shoots together with some of my more succesful images from recent years. I have adapted the technique for the different image size here on WordPress (960 x 250 pixels for this theme, the Twenty Twelve). I also used the same images for the cover photo (851 x 315 pixels) on my photography Facebook Page here. 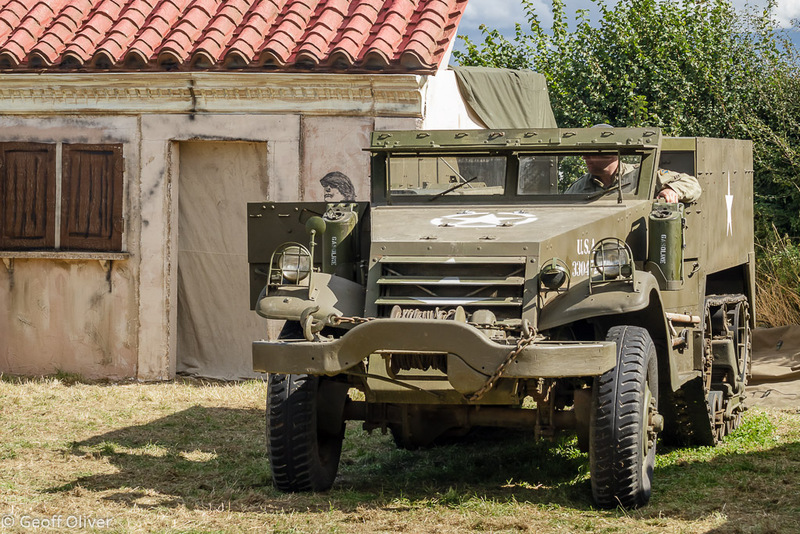 This was my first visit to The Victory Show, which takes place just outside Cosby in Leicestershire. 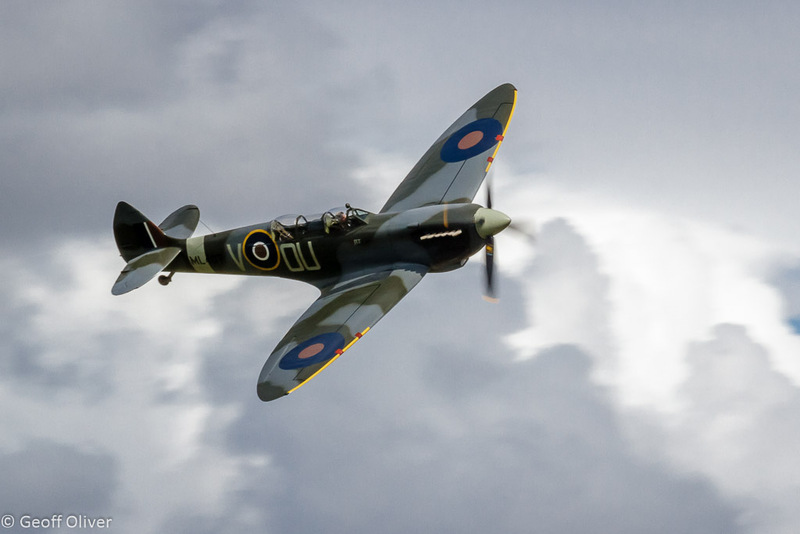 Now in its eighth year, the show took place on an extensive 100 acre site and promised a wide variety of WWII tanks and armoured vehicles, a large number of re-enactment groups and an impressive flying display of planes from the period. 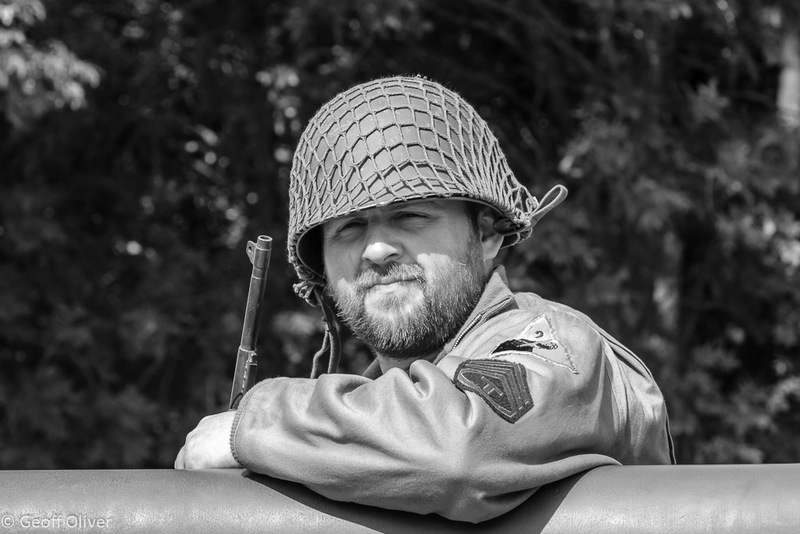 The mix of static displays, living history encampments (including authentic looking trenches and other scenarios), together with set-piece battle re-enactments and a historic airshow meant that there was plenty to see and enjoy and lots of photographic opportunities. 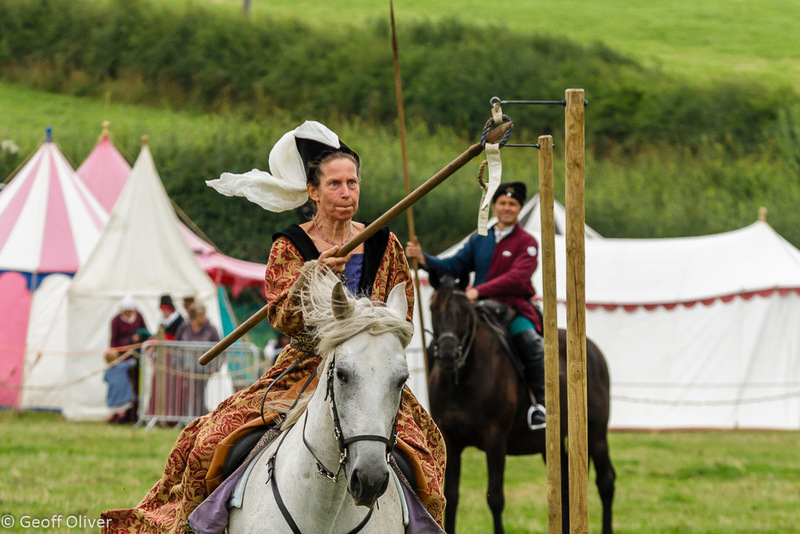 I actually missed the set-piece battle on the main field in the afternoon as I was at the opposite end of the site and somewhat distracted while talking to a lovely lady from one of the large re-enactment groups. 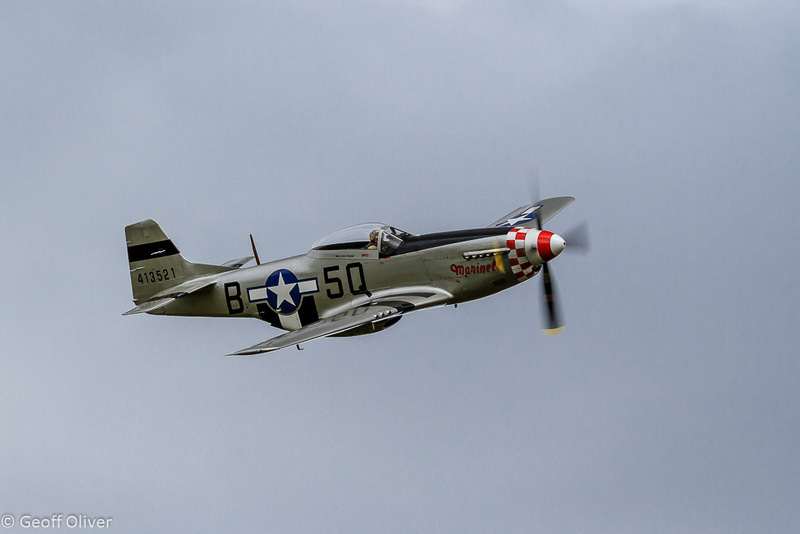 However, I did manage to catch a little of the morning skirmish and most of the flying displays. I enjoyed looking round the static displays very much and everyone I talked to was really friendly which for someone like me is a real bonus as I sometimes have trouble approaching people to engage with them. 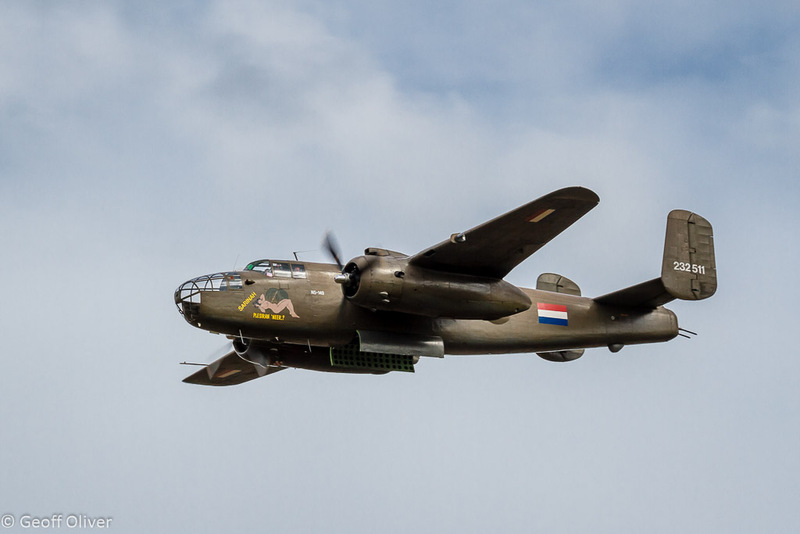 The highlight of the flying display for me was the North American B-25 Mitchell bomber. 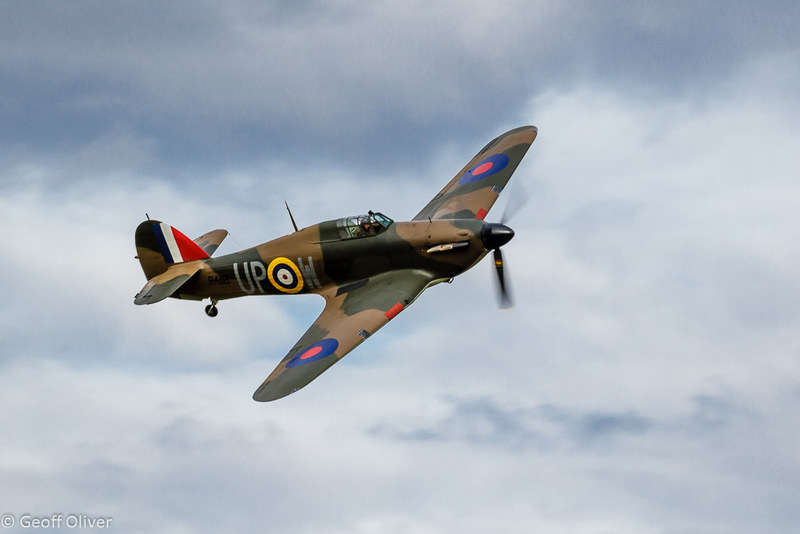 The sight and, just as important, the sound of this rare vintage plane flying low over the airstrip and then performing various manoeuvres to show off its capabilities was a real treat for everyone who was there. I have included a few of my favourites from the day in this post, I hope you enjoyed them. Call me a coward but in real life I will do almost anything to avoid conflict and confrontation. 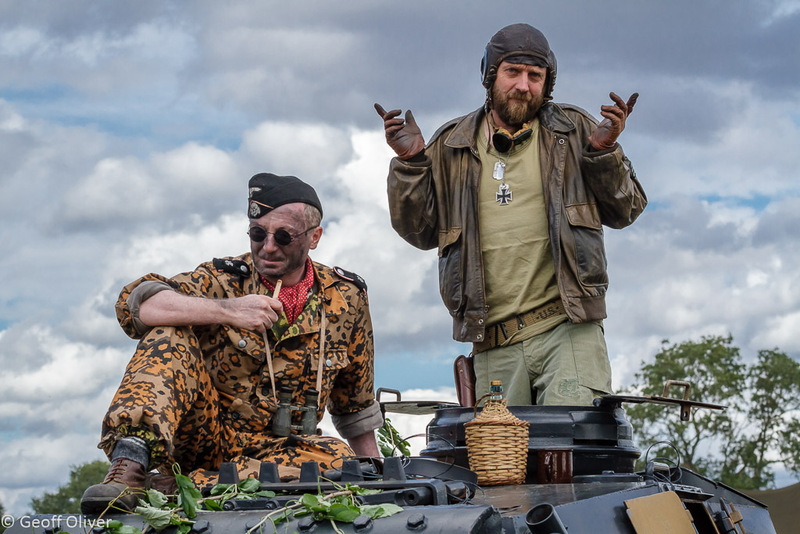 So why is it that I am regularly drawn to photograph these historic battle re-enactments, you might ask? A good question, one that I occasionally ask myself! The answer of course is very simple. 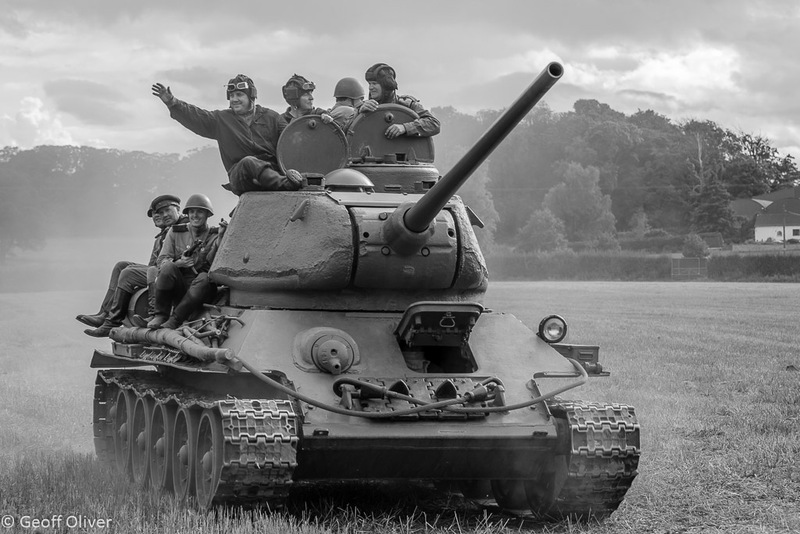 These are wonderful events to photograph, the sight and sound of men and women marching into battle, the sound and smell of the gunfire, the beauty of the horses, the vibrant colours of the uniforms, the clanking of the armour, the sound of metal on metal as the army’s engage in hand to hand combat – wonderful! 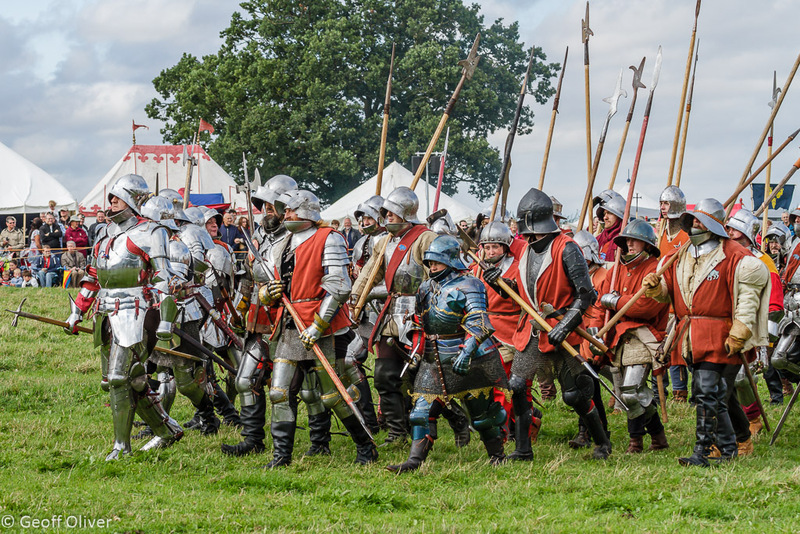 So it was I found myself at Bosworth Battlefield in Leicestershire for the anniversary battle re-enactment, one of my favourite events of the year. 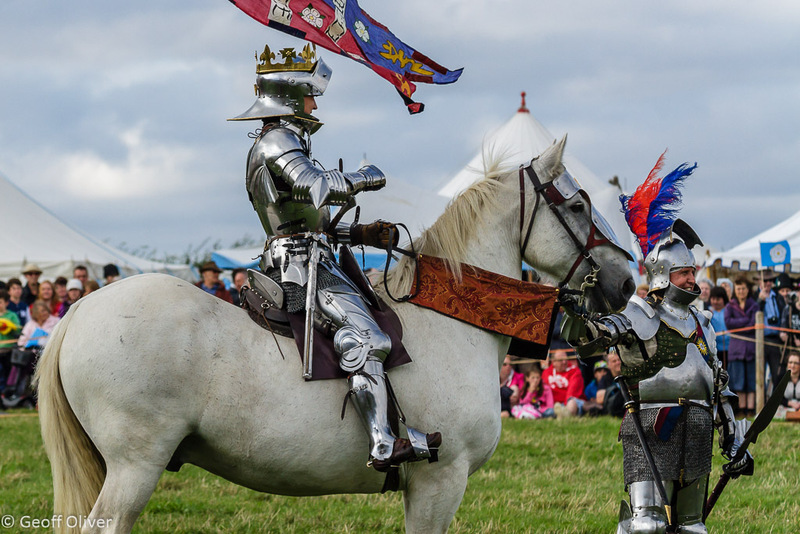 The Battle of Bosworth on 22nd August 1485 is where Richard III lost not only the battle but also his life. 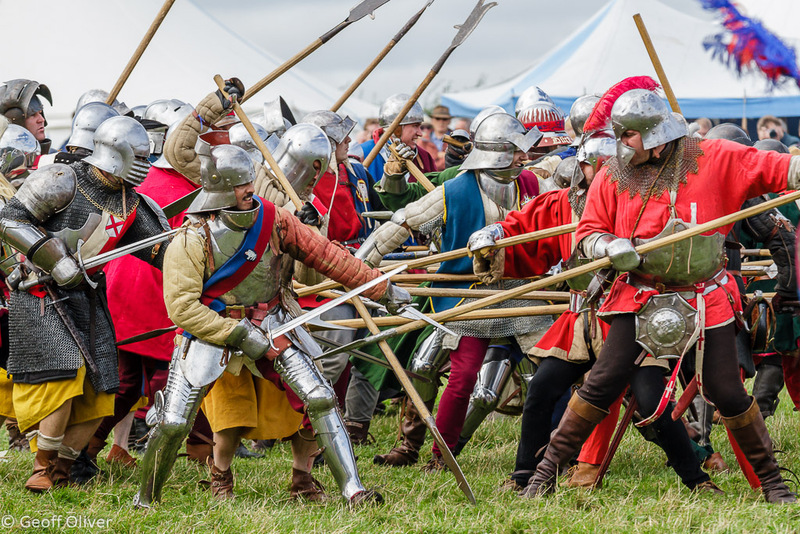 His Yorkist army was defeated by the Lancastrians led by Henry Tudor (Henry VII) and this defeat effectively ended the wars of the roses. Henry was the first of the Tudors and he ruled until his death in 1509, after which he was succeeded by his second son, Henry VIII. 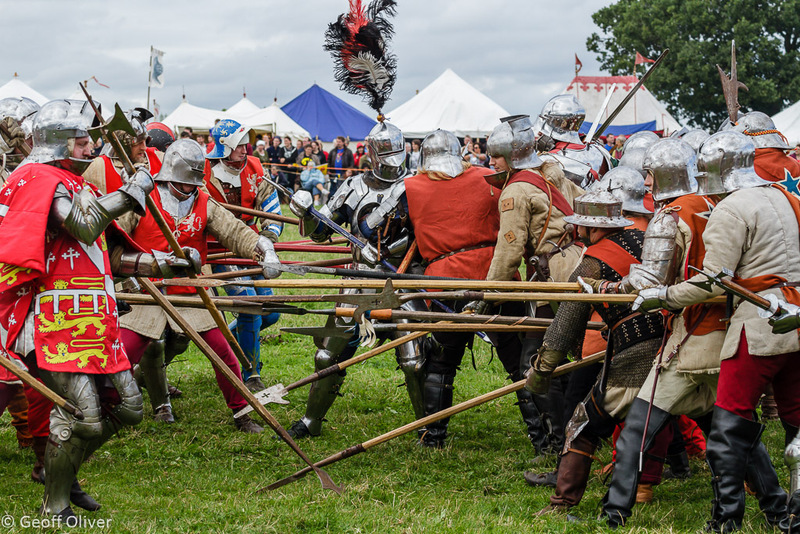 Of course there was much more to see at Bosworth than just the re-enactment battle itself, although that was the main set-piece event. 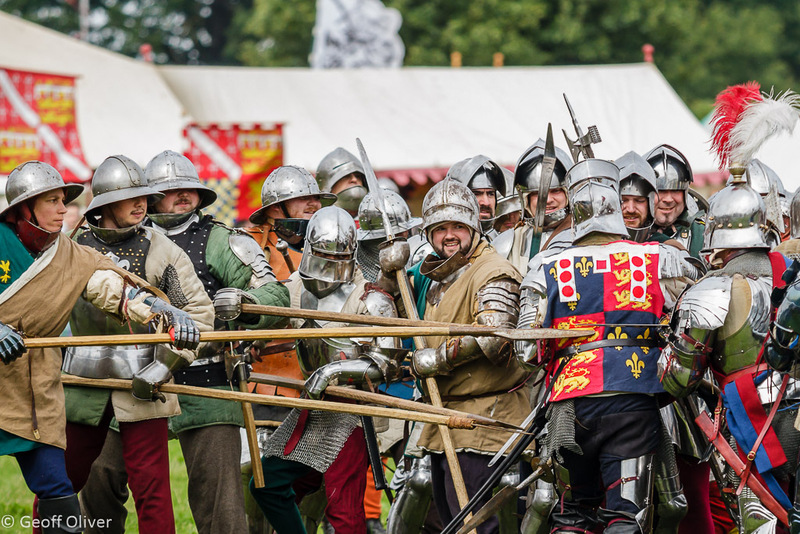 A full timetable of events took place throughout the day including a re-enactment of the Battle of Tewkesbury in the morning. 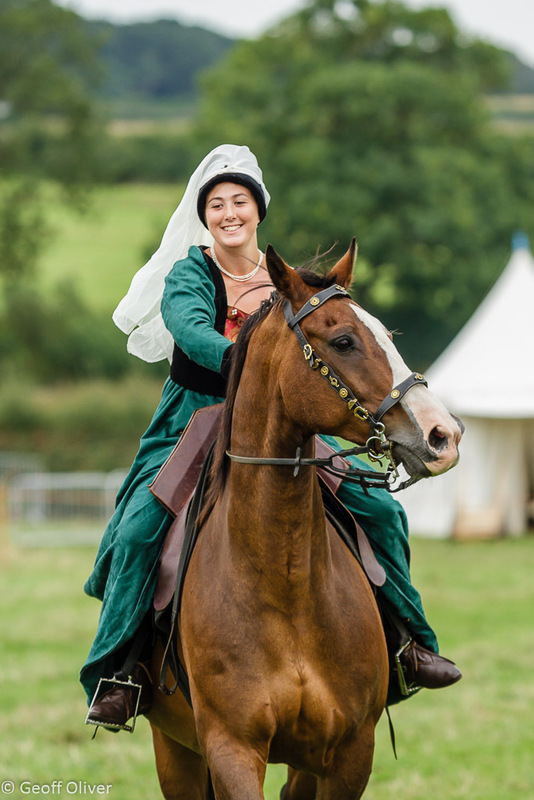 There was also a display of mounted skills at arms with riders, both men and women, pitting their skills against a variety of targets while on horseback. A first for Bosworth and for me too was a display entitled “Battle of the Nations”. 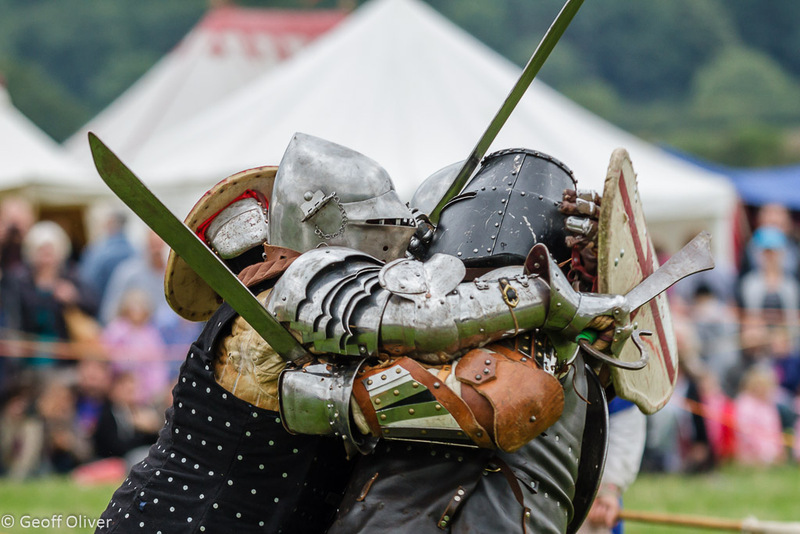 This comprised a number of skirmishes, in a makeshift arena, in which two or more heavily armoured men armed with swords and shields fought each other in a carefully controlled but brutal battle to put their opponent on the floor. 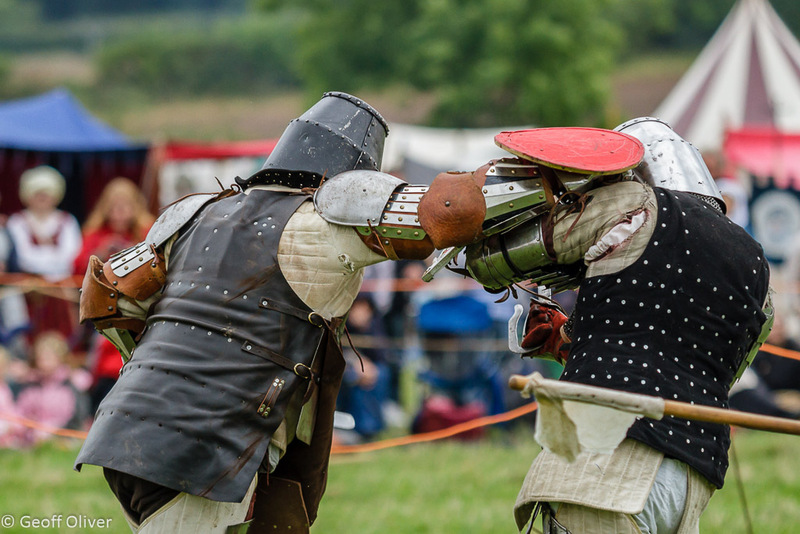 The fighting was fast and furious in a gladiator style, the fighters laden down with all their heavy armour including heavily constructed helmets and visors. 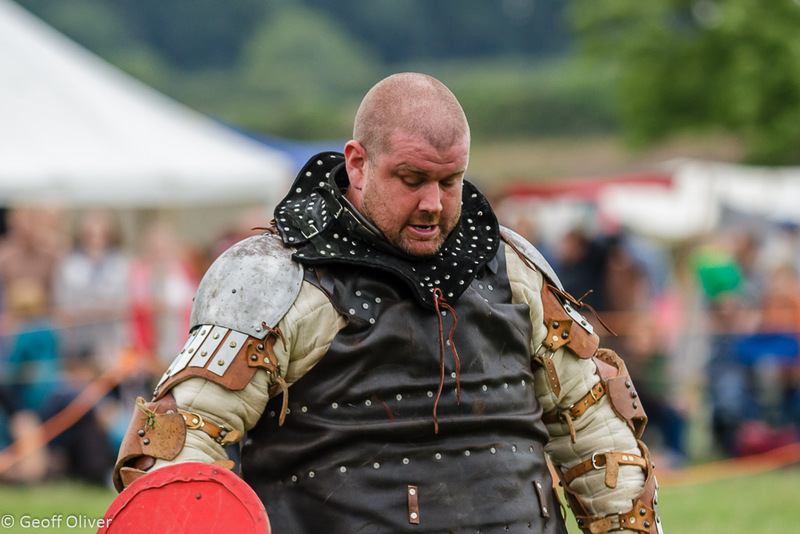 I can only imagine how incredibly hot and physically draining it must have been to take part in this type of battle but it certainly made for some entertaining action for the many spectators around the Bosworth main arena. 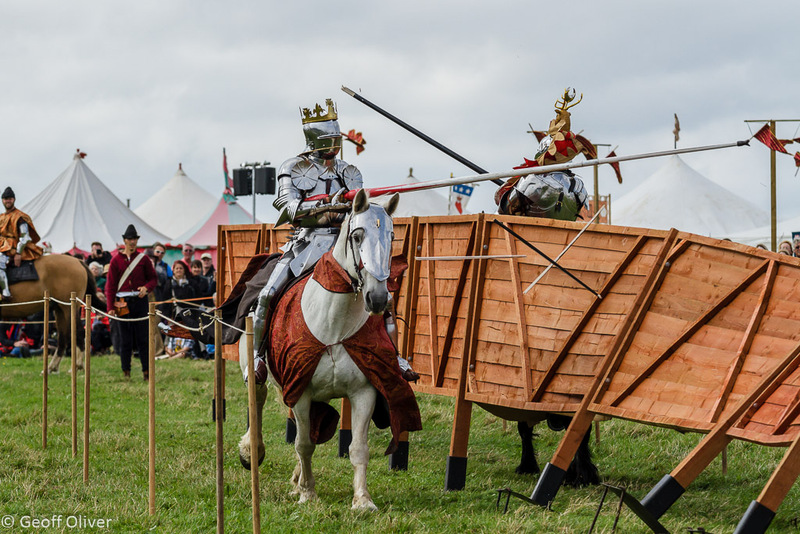 Another popular attraction is the jousting tournament. This spectacular and occasionally dangerous pastime much loved by the knights of old is one of the highlights of the afternoon programme. 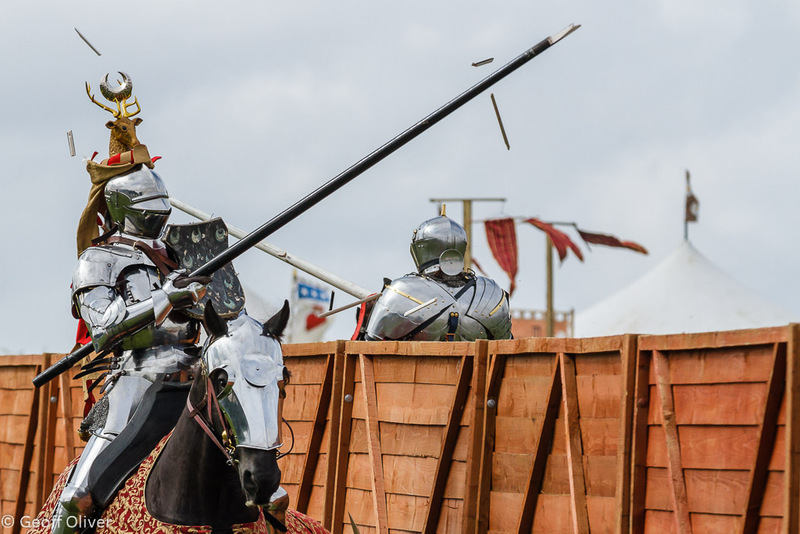 The aim of the riders is to break your own lance on the shield of your opponent and points are scored for the accuracy of the hits and the amount of damage to your lance. This year’s tournament ended in quite a spectacular but unexpected fashion when, on the very last pass of the day, the safety fence between the horses appeared to blow over as seen below. To the best of my knowledge, both horses and riders thankfully escaped without injury but I’m sure the event organisers will want to review what happened before next year’s event. There were also some impressive birds of prey demonstrations throughout the day but I will save those photos for a separate post. 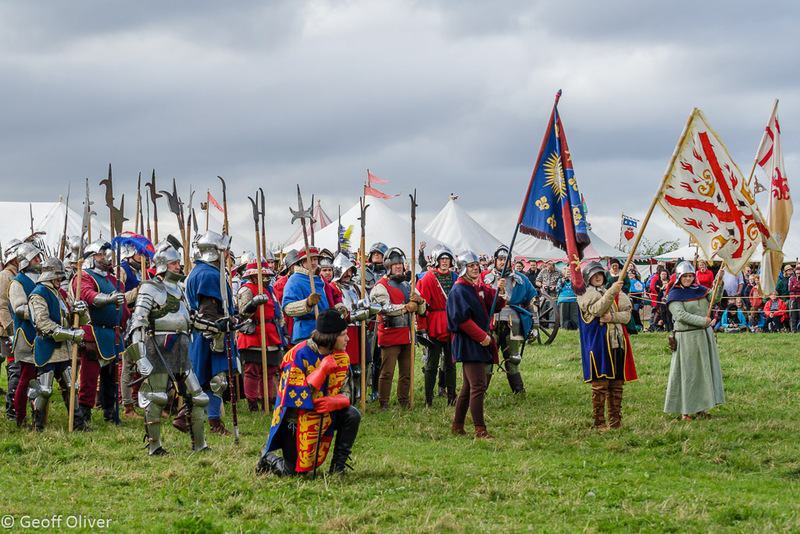 The main event was the anniversary battle re-enactment itself with Richard III leading his Yorkist army into battle for the last time against the Lancastrians led by Henry Tudor. A minute’s silence preceded the battle as always to remember all those who fought and died in the Wars of the Roses. Then the battle commenced and once more it didn’t disappoint. As mentioned earlier, for photographers like myself, these events have everything you could wish for – colour, action, movement, drama, scale, atmosphere, sometimes a little humour but always a real feeling of witnessing something rather special right in front of you. Attempting to capture all these elements in still pictures is the challenge of course and it is not without difficulties. These battles are often unpredictable and the number of spectators dictates that you have to pick the spot where you are going to stand well in advance and stay they for the duration of the battle, come what may. The problem comes when you find yourself in the wrong place, because the battle moved to the other end of the arena, or it passed you by quickly and left you looking only at the backs of everyone involved. 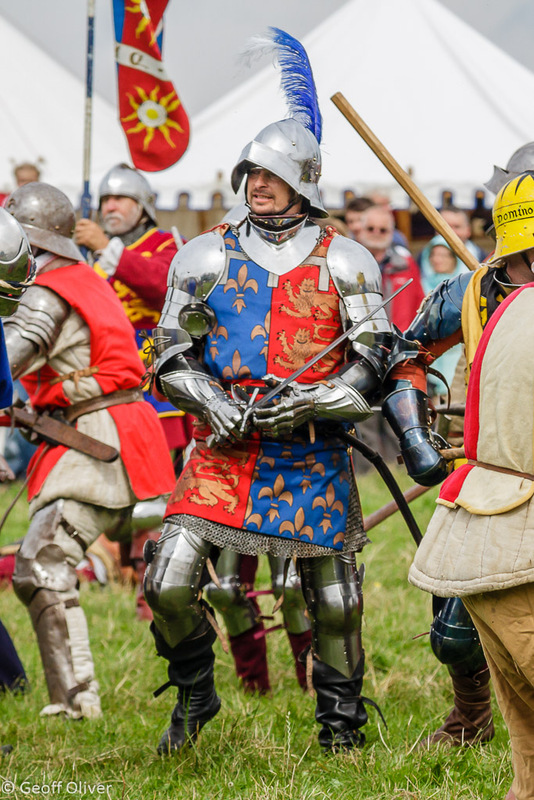 This is a familiar scenario for me as this very thing happened to me only recently at Kelmarsh earlier this year during the Wars of the Roses battle. if you find yourself in the wrong place there’s very little you can do except hope that they come back to you! 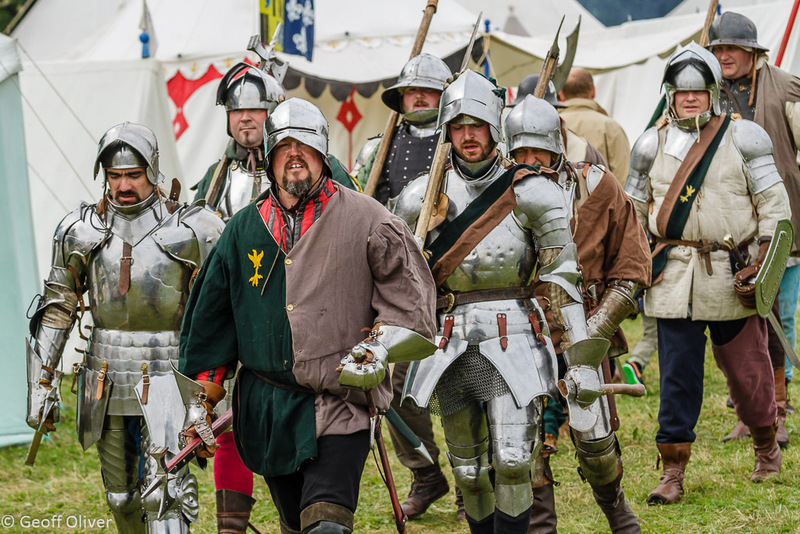 Once again I had a brilliant day at Bosworth, credit must go to all the organisers and all the re-enactment groups who took part in the event for making it a day to remember. Hopefully my photos managed to capture some of the drama and colour of the day, I know I’m reasonably happy with them. I realise these photos may not be “real life” enough for some people’s eyes but maybe that’s one of the big attractions to me of photographing this type of event – a little bit of escape from “real life”. The rest of my photos from the day (over 400 of them) can be found on my website here. Remember, whatever your chosen subject, enjoy your photography! 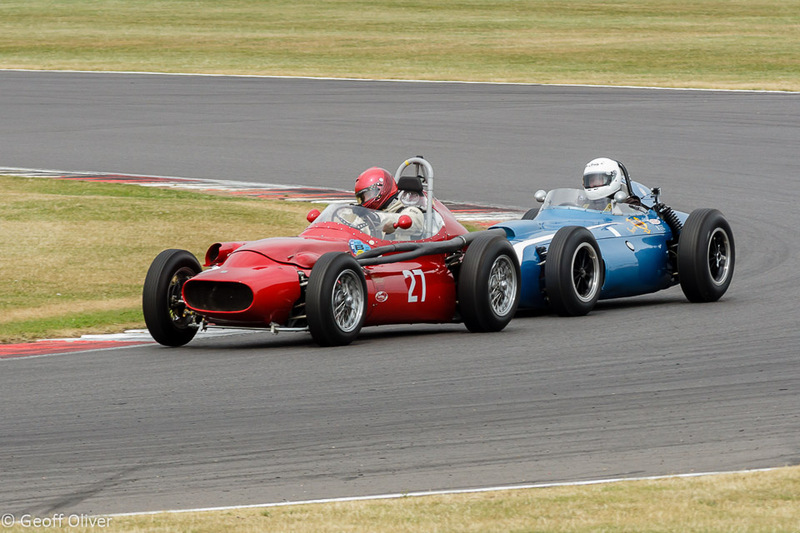 One week on and a distinct change of pace and mood followed my recent visit to Silverstone. Members of Desborough and Rothwell Photographic Society were invited to spend a morning taking photographs inside Holy Trinity Church in Rothwell, Northamptonshire. Our visit included a guided tour of the bell tower including, for the brave or the fearless, access to the top of the tower to enjoy panoramic views over the town and the surrounding countryside. Also included in our morning was access to the famous bone crypt. The history of Holy Trinity Church stretches back almost a thousand years, with the oldest part of the church dating back to Norman times. The main part of the church was constructed in the 13th Century and there have been several alterations and additions since then. At 173 feet in length, the church is the longest in Northamptonshire and, like many churches and buildings in the area, was built from local sandstone giving it a distinctive golden colour, particularly when see in evening sunlight. Unfortunately, I wasn’t brave enough on the day to face the climb up the ladder from the bell chamber, through the trap-door, to the roof above. I’m not very good with heights I’m afraid even though I wanted to get to the top for the views. As it was, I stayed next to the bells with another member of the society whilst three members climbed the ladder to the top of the tower. CLANG! CLANG! CLANG! CLANG! Without warning, the tranquility of this Saturday morning was shattered and I jumped out of my skin as the bells, which I was standing next to at the time, suddenly chimed the quarter-hour. The sound was deafening and yet beautiful at the same time. Our guide had explained earlier that each bell produces not just a single tone but a range of tones determined by the size and shape of the design. See here for a detailed explanation. I may have been chicken when it came to climbing to the top of the tower but I made amends when it came to photographing the bone crypt. This was my first visit to this site and I wasn’t sure beforehand just how I would react to the sight of dozens, maybe hundreds of human skulls and other bones in varying states of decay. I needn’t have worried as I had my quizzical photographers head on as I carefully descended the narrow stone staircase from the main church to the crypt. I guessed that the light would not be very good in the crypt so I brought my own light with me in the form of a Canon 580 speedlite. I also brought an old friend, the ST-E2 speedlite transmitter which allows for off-camera flash using infra-red triggering, unlike the modern radio types. The speedlite transmitter has an extra trick up its sleeve, not only does it trigger remote flashes, it also has not one but two infra-red focus-assist beams which are a great aid to focussing in dim lighting. The shots below were taken at F/8 to give good depth of field. We were made very welcome at the church with tea, coffee and cakes being provided for the society members. In exchange we have promised to supply photos from the day to be considered for selling as postcards in the church. The morning passed so quickly and before long it was time to leave. If I ever get the chance again I would definitely spend more time photographing the spectacular stained glass windows and the beautiful stone work inside this lovely church. Hopefully one of our members got those shots that I missed on this occasion. 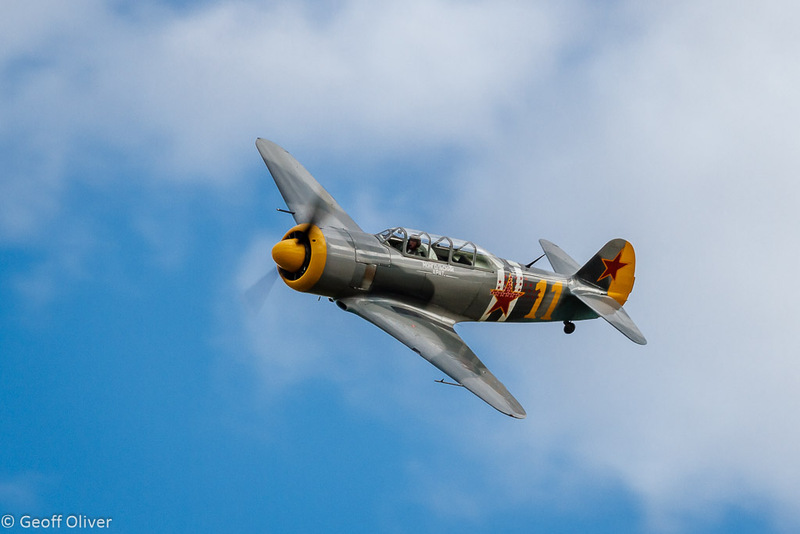 I can imagine a lens with an image stabilizer would be perfect for that type of shot, or you could always do what some of our members did, use a tripod. Below is a selection of my shots from the day. I have a gallery dedicated to some of my favourite Northamptonshire churches, including a few more photos from Rothwell on my website here. When I think about sports photography, and motor sports in particular, I think of photographers in hi-visibility vests carrying huge lenses over their shoulder, or crouched down behind a hoarding at Wimbledon, or a Premier League match, or the Olympics. The vest is very important of course. It assures everyone who sees it that the photographer wearing it is accredited to take photos at any given event. 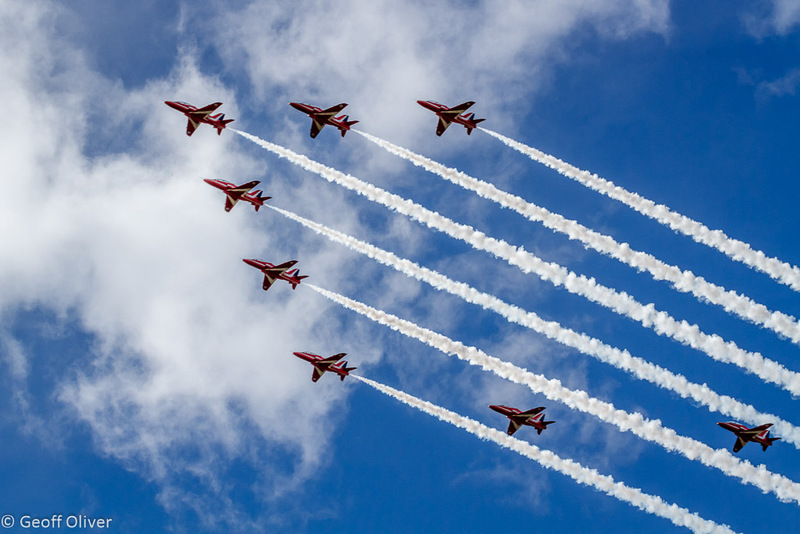 It also indicates that the photographer is most probably working for a well-known media company, whether it be a newspaper, magazine, website or photo agency. OK, I’ll admit it, I am quite jealous of the guys (and girls) in the dayglow vests. Why am I jealous? Three reasons; first because they are working professional photographers with all that involves whereas I am not, secondly because they have the super-fast super-expensive long lenses (not to mention expensive cameras) that I can only dream of, and finally because they get to stand in the very best places, in front of the chicken wire fencing, when mere mortals such as myself have to try to find a spot where we can actually see over it! 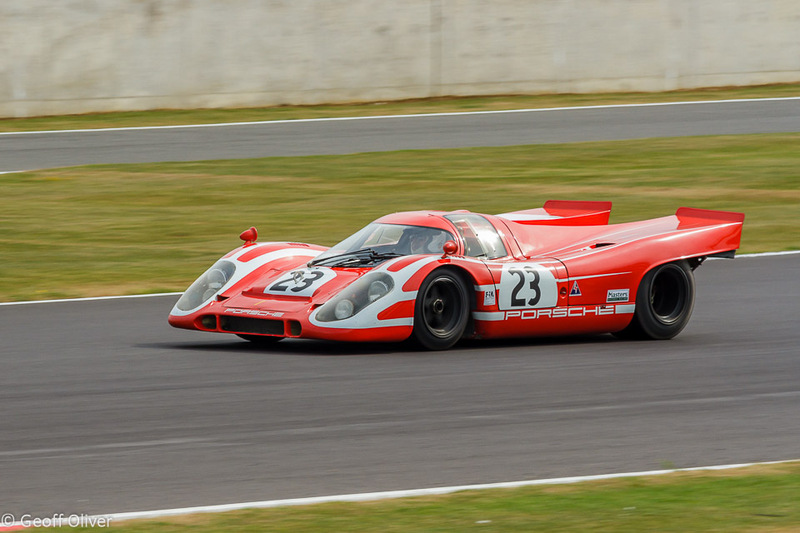 Now I’ve got that off my chest, let me tell you about my recent visit to Silverstone for the annual Silverstone Classic event. 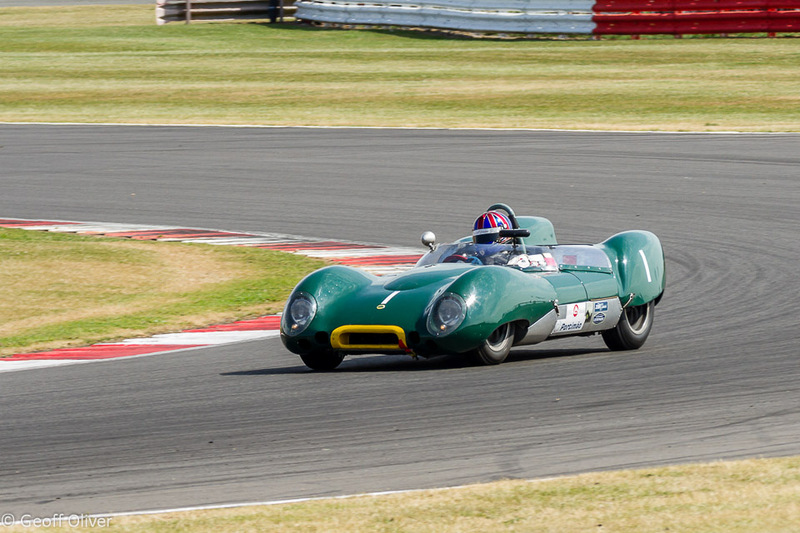 The Silverstone Classic is a two-day event (three including qualifying) featuring some of the finest classic racing cars in the world competing in 12 different classes over 24 races. 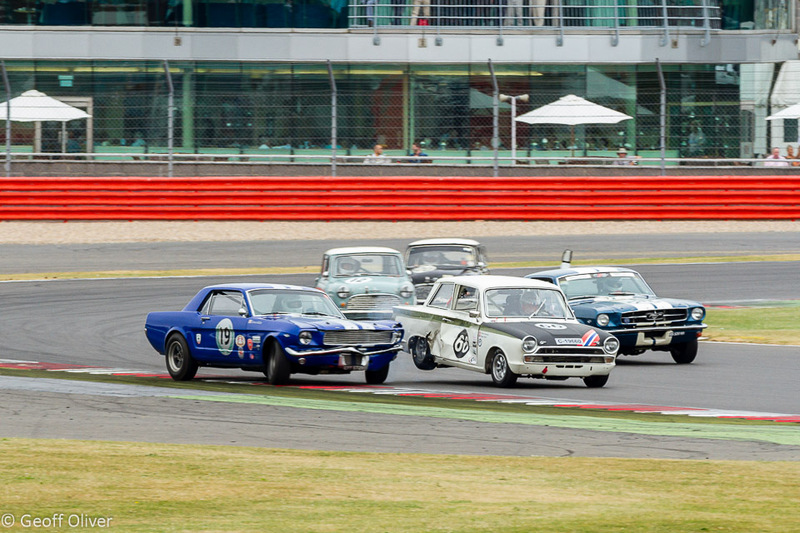 I was there for the Saturday , intrigued by the prospect of two races to be held in the evening towards dusk, the first a race for pre-66 GT cars and the second for the Group-C Le-mans type cars. 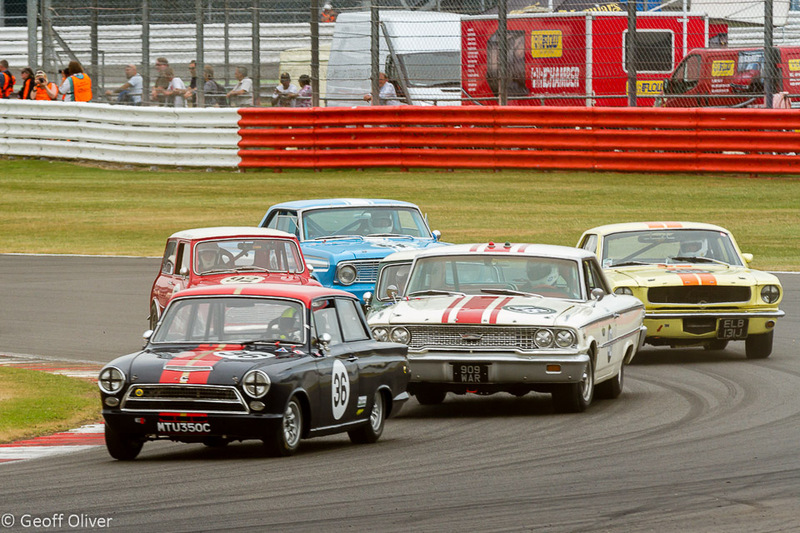 It was a Lotus Cortina 1-2-3 in the Sir John Whitmore Trophy for Under 2 Litre Touring Cars with the Voyazides/Hadfield car seen here in the centre of the picture taking the win. 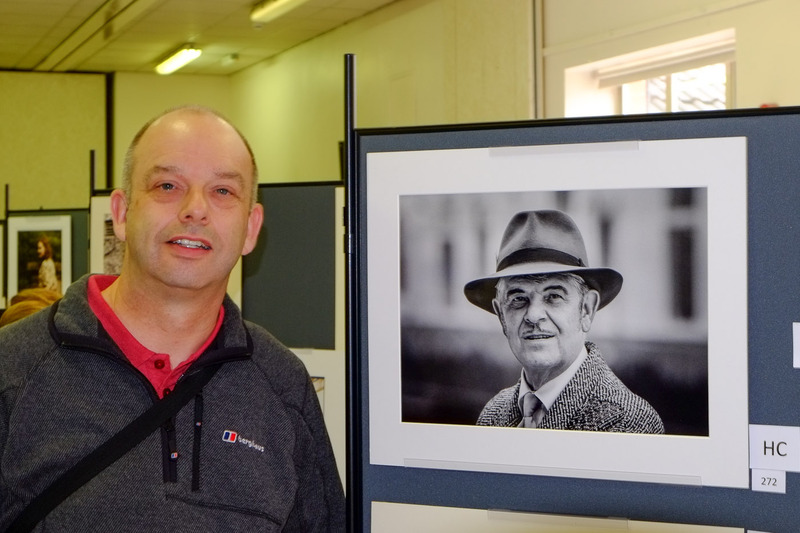 I must thank Trevor Rudkin, chairman of the Desborough and Rothwell Photographic Society, for the ticket to this event. Trevor was a marshall at the event and donated his complementary ticket to me, very much appreciated. 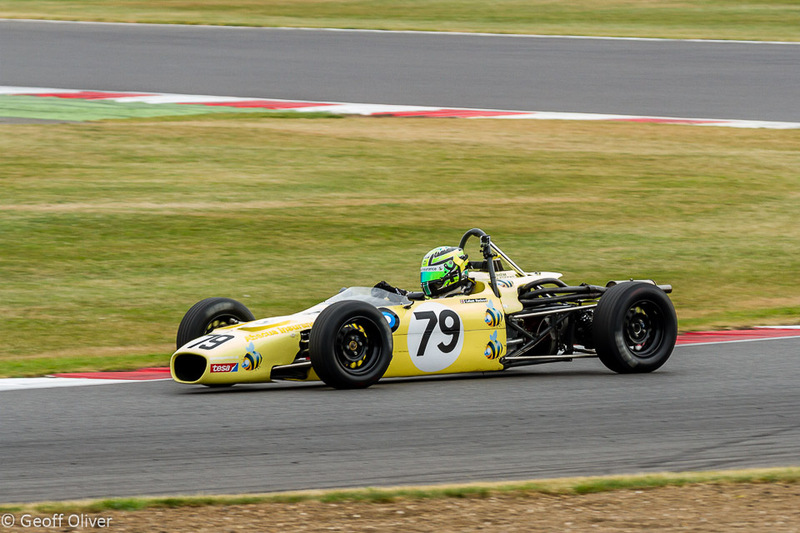 I love the warmth of evening light and I set out early on the Saturday morning knowing that I had 12 races to cover in 12 hours, starting at 9am for the first race – the Formula Juniors, and ending at 9pm with the Group C cars. I’m not a sports photographer, as you have probably gathered. No super-fast long lenses for me, just my trusty Canon EF 80-200mm F/2.8 and a Kenko 1.4x DG300 extender, giving me 280mm @ F4 at full zoom. 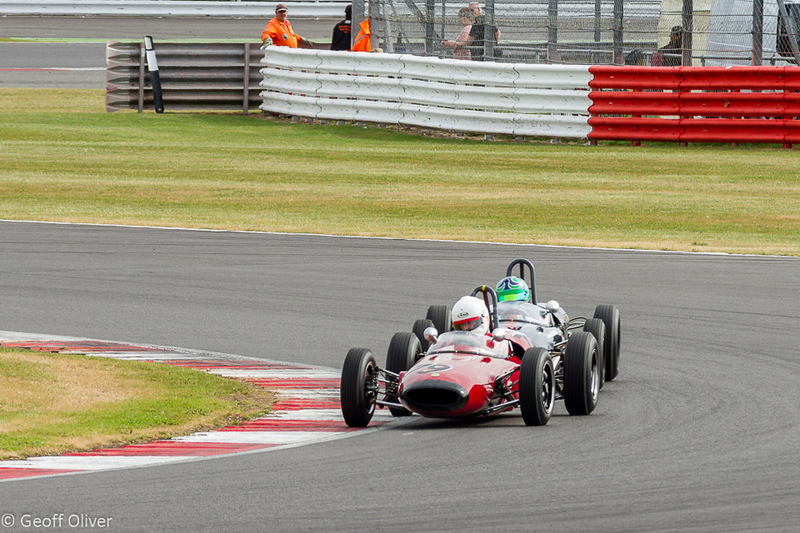 However, I did go armed with some advice from Trevor following my first attempt at Silverstone photography which resulted in me getting lots of photos of racing cars and wire fencing, not necessarily in that order. He directed me to an area of slightly elevated concrete terracing at Luffield corner with a promise that I should be able to see the track over the wire fencing at that point. Yes! I could see both the track and the cars on it, this was definitely the spot for me! I was so pleased with this location, I stayed in the exact same spot all morning without moving. Whilst this seemed like a very good idea at the time, hindsight is a wonderful thing. 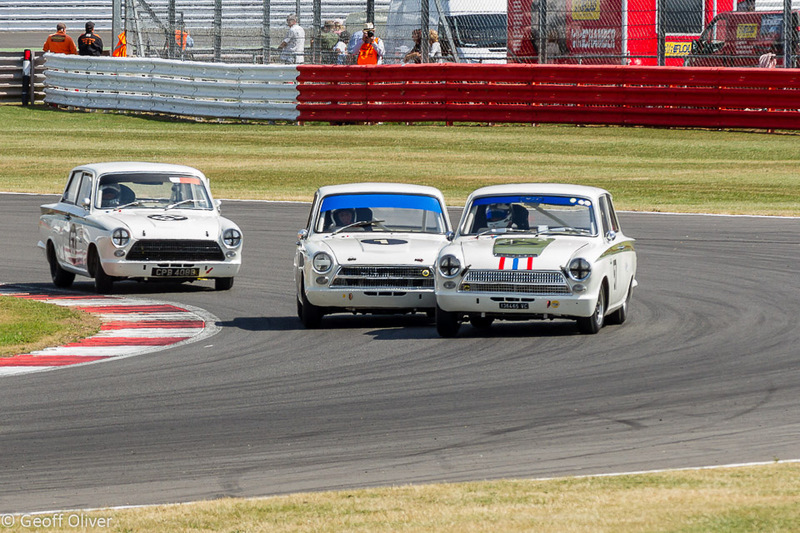 Not only did I end up with 400 photos which looked almost exactly the same (different cars and drivers) but I also managed to get sun-burned on the backs of my legs after deciding to wear shorts for the day. After my picnic lunch, at which time I discovered my pink calves, I decided to move to the covered grandstand at Woodcote corner, opposite the old start/finish line. I didn’t like this location nearly as much as I was looking down on the cars rather than across. On the plus side, I was no longer in full sun and I did get the chance to practice some panning, at which I am not very good. I also got some different shots although my keeper rate from this location was not as good. 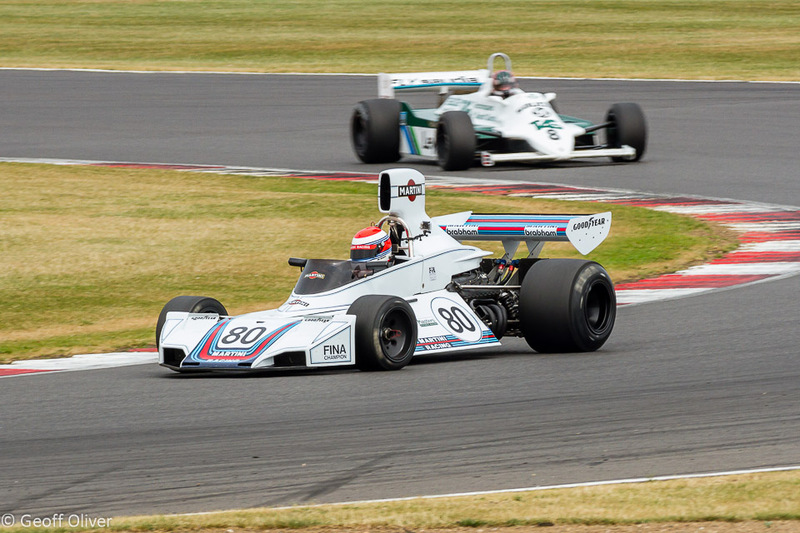 Three races later, and with clear blue skies now replaced by darkening cloud, I moved back to Luffield for the pre-66 Formula 1 cars, a race I was looking forward to very much. Even as the race started, the dark clouds were becoming more ominous and a chill wind started blowing across the track. 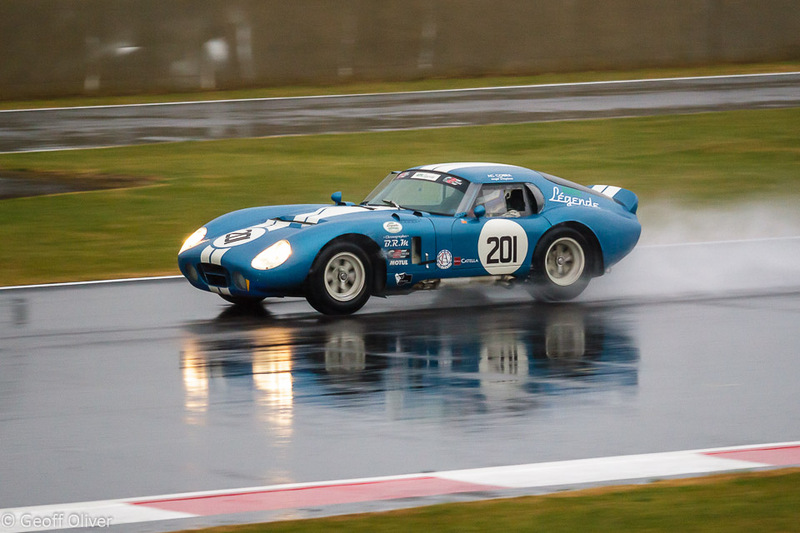 A few laps in, with light levels falling rapidly and my ISO up to 1600, the heavens suddenly opened and the track, the cars, drivers and spectators alike were well and truly soaked. 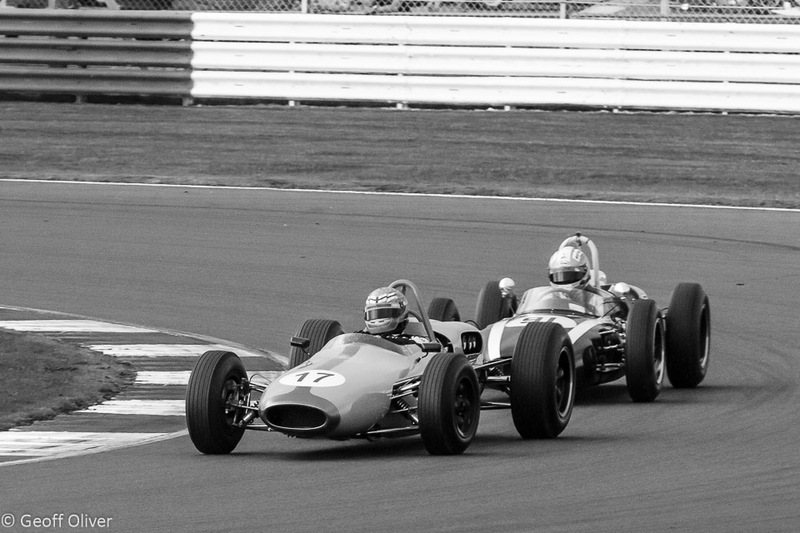 I heard the public address system notify everyone that the race had been abandoned as I ran towards the cover of the stand at Woodcote. Unfortunately, I was fairly well soaked by the time I got there but at least I was under cover. 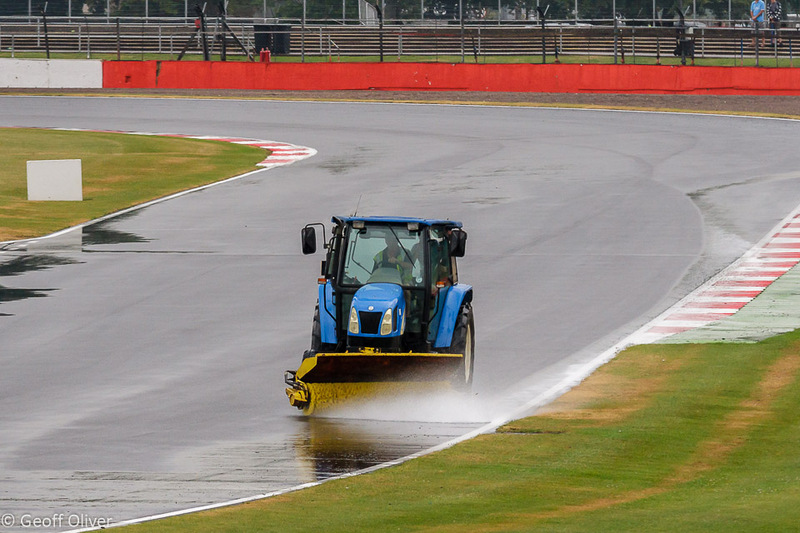 The rain did ease off eventually and about an hour later after much track-clearing by the marshalls, aided by a number of mechanical sweepers, the GT cars came out for their race. Unfortunately for them the rain started falling again just as they came out so the race was started behind the safety car. 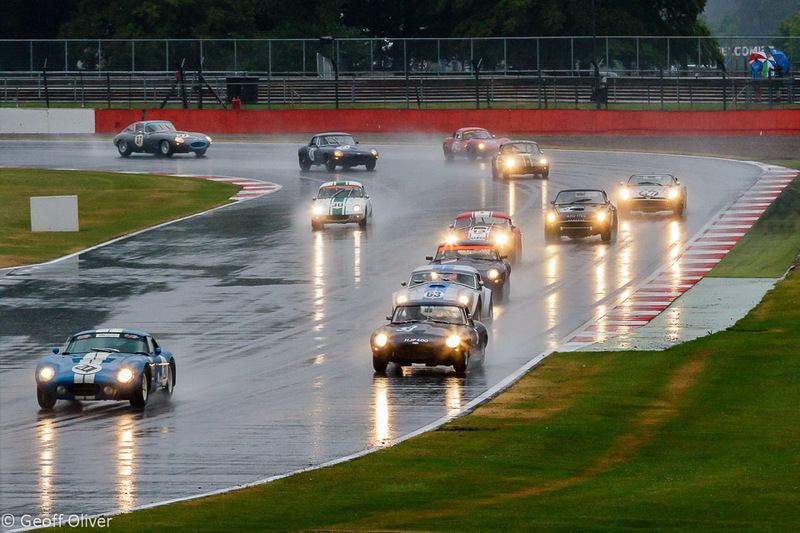 With the light fading once again and the rain still falling, the GT cars battled their way through the surface water and put on quite a show for the hardy race fans and photographers who had stayed late to watch them. I did what I could in the conditions, I abandoned the 1.4x extender to get me an extra stop of light and continued to get as many shots as I could. On the plus side, the headlights of the cars, the fading light, and the water-logged track led to some quite dramatic lighting and I was very pleased that I had stayed on to see this race. In the event, this was the last race of the day, the Group C race having been abandoned due to the wet weather, the darkness and the time which by that time was almost 9pm. I had a brilliant day, notwithstanding the sun-burn and the soaking, with thanks again to Trevor for the ticket. 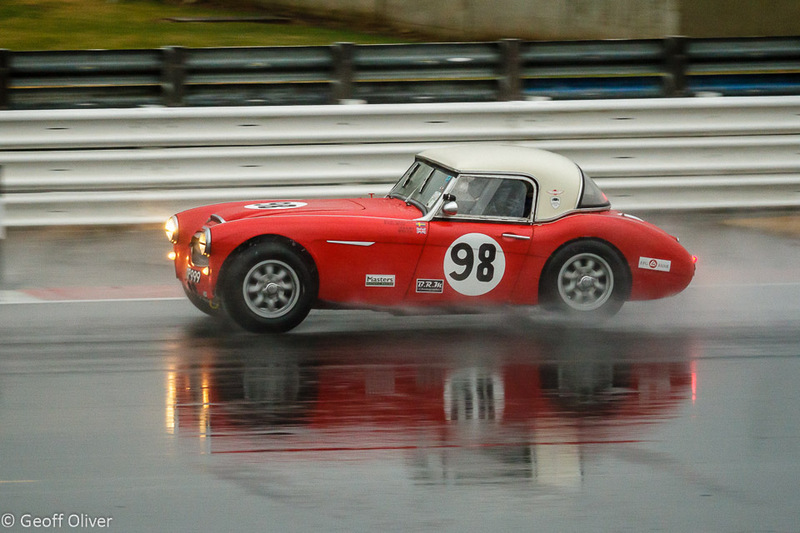 I know my photos are not the best sports action photos, far from it, but they were the best that I could achieve on the day and I am particularly pleased with some of my rain-soaked almost dark GT race shots. As always, this is just a small selection of my photos from the day, the remainder can be found on my website here. Whatever your subject, enjoy your photography!